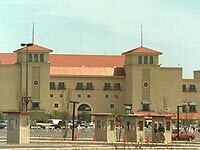 Retama Park is set to kick off its Fall Thoroughbred Meet tonight Friday, August 28. The 32-day meet is scheduled to continue through Saturday, November 7. The nation’s economy continues to struggle, and Texas racing continues to be handicapped by not having a level playing field with racetracks in surrounding states that have additional forms of gaming supplementing their purse accounts. The combination of those factors have forced some difficult choices regarding the upcoming Thoroughbred meet at Retama. In order to try to keep overnight purses as high as possible for the meet, the stakes schedule has been scaled back considerably compared to recent year. In fact, only four Thoroughbred stakes will be run at the meet. The $125,000-guaranteed My Dandy Texas Stallion Stakes for two-year-old males going six furlongs and the $125,000-guaranteed Darby’s Daughter Texas Stallion Stakes for two-year-old fillies going six furlongs will both be held on Saturday, September 26. The meet’s traditional highlights, the $100,000-guaranteed M2 Technology La Senorita Stakes for two-year-old fillies going one mile on the turf and the $100,000-guaranteed SKYY El Jovan Stakes for two-year-old males going one mile on the turf, are scheduled to be run on Saturday, October 24. In addition, there will be three Arabian stakes run at the meet: the Texas Arabian Derby (Gr. III), the Texas Arabian Oaks, and the Tiki Diablo Stakes. Racing will be held Thursdays through Sundays, with first post each night set for 6:45 p.m. except for the Breeders’ Cup World Championship days of November 6 and 7. Post time on Friday, November 6 will be 5:20 p.m., and post time on Saturday, November 7 will be 6:20 p.m. The Texas Horse Racing Hall of Fame Gala and Induction Ceremony will be held in Retama’s Showtime Pavilion on Saturday, October 10.